Mick will be interviewed on stage and will also take questions from the audience. Seating in the front 4 rows ensuring a fantastic view. Seating in the front row ensuring the very best view. 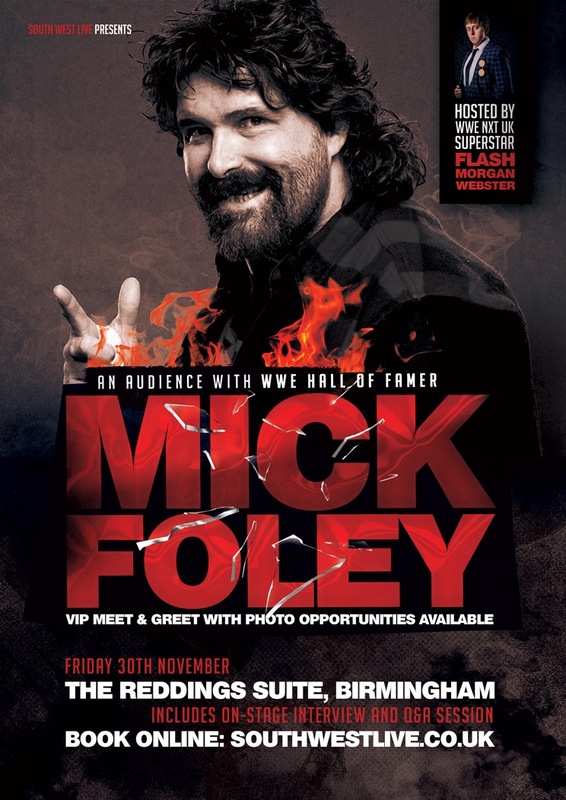 Exclusive access to VIP area where you’ll mingle with Mick for 45 mins before the event starts, enjoy 2 complimentary drinks, Professional photo with Mick & autographed souvenir photo or your own item signed. Professional photos are provided as a high-resolution digital download, these will be available within 48 hours of the event. You are free to print as many copies as you would like and use on Social Media. We will also allow 1 photo on your mobile phone, please have your phone ready.